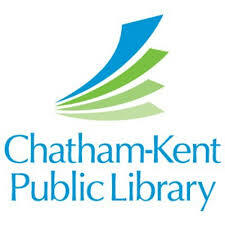 There is another ID Clinic at the Chatham-Kent Public Library in Wallaceburg today from 12:30-3:30. Need a lunch idea for today? It’s National Grilled Cheese Day. And apparently, we love our cheese! 87% of people said they would give up coffee, chocolate and booze before giving up cheese. If you’re making a Grilled Cheese today, the most popular ways to customize them is adding tomato, bacon, ham, or eggs. If you’ve been feeling a little down lately, experts at the University of Sussex say you should surround yourself with the colour blue…navy blue to be exact. They determined that Navy Blue is the most relaxing colour, and that surrounding yourself with blue clothes, objects and accessories could help you lead a more relaxed life. Sony has created the world’s biggest Flat Screen TV…at 63 feet! The 16K TV has 64 times as many pixels as a regular 1080 HD television. Now we just need to find a wall big enough to hang it on.